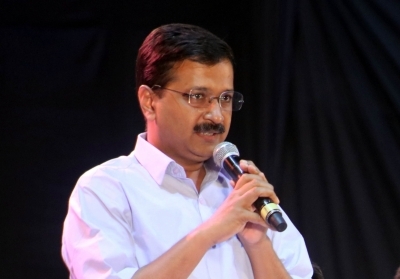 New Delhi, Sep 28 (IANS) Delhi Chief Minister Arvind Kejriwal on Thursday asked Transport Minister Kailash Gahlot to find a way to stop the “anti-people” Metro fare hike within a week. “Metro fare hike is anti-people move. Have ordered Transport Minister Kailash Gahlot to find a solution to stop fare hike in a week,” the Chief Minister tweeted. Later, Gahlot said he has fixed a meeting with the DMRC (Delhi Metro Rail Corporation) chief to discuss the fare hike. “As directed by @ArvindKejriwal have called DMRC Chief at 2.30 p.m. today at Secretariat with all relevant records of uncalled Fare hike,” the Minister said on twitter. The Delhi Metro fares are set to increase for the second time this year from October. The first increase was in May, when the minimum fare was hiked from Rs 8 to Rs 10, and the maximum from Rs 30 to Rs 50. The Delhi Metro fares were increased following the recommendations of the fourth Fare Fixation Committee.